Ahh, the first day of school! Call me crazy, but I've always loved it! I will see my first classes in the library this Wednesday. We have a book fair coming Thursday, so we will be frantically setting up. I will see one class at a time for orientation, checkout, and book fair. It will be a whirlwind for the next two weeks! 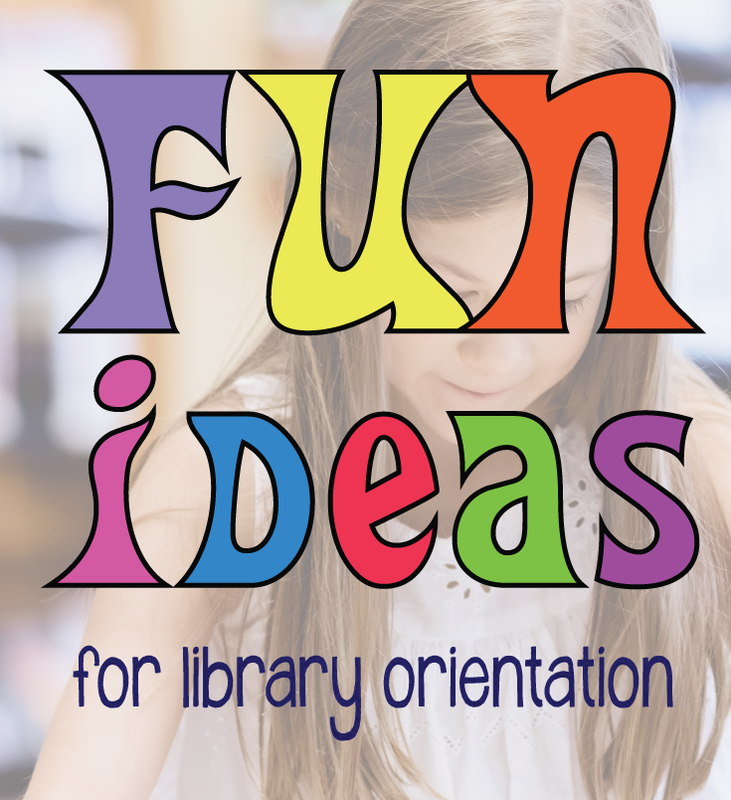 Lots of great ideas from the SLJ blog! 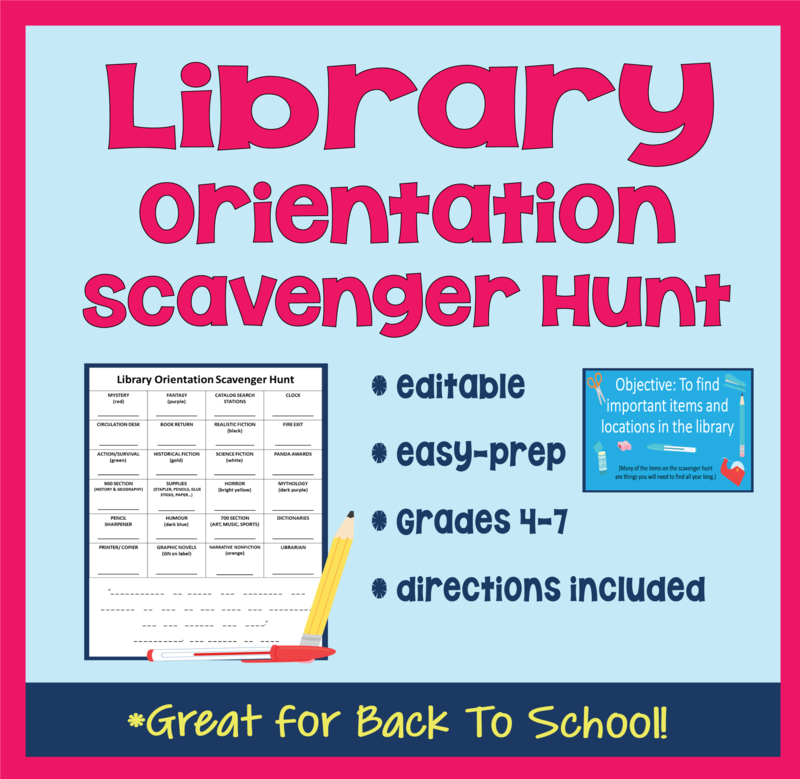 I especially love the Library Bingo/PowerPoint game and the Scavenger Hunt ideas! 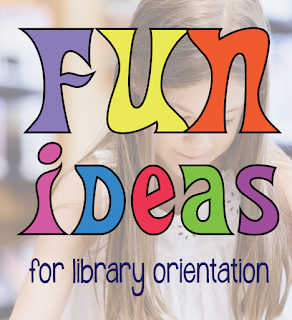 This activity helps students in Grades 4-7 explore the library and find important items and places (printer, book return, circulation desk, pencil sharpener, different genre sections, etc.) I used QR codes and a secret message from Dumbledore to help make it interesting. You can edit the scavenger hunt card to suit locations in your library. 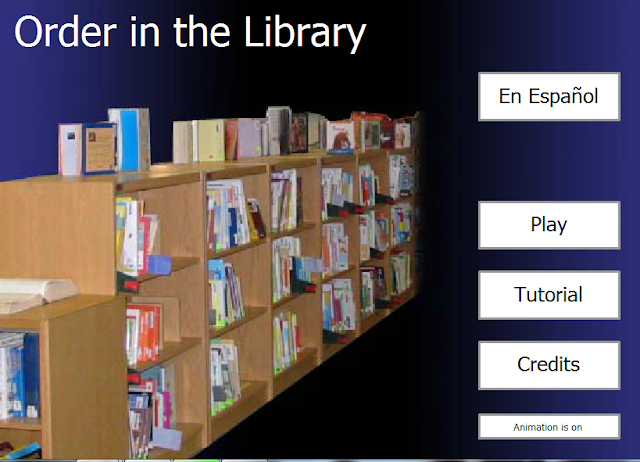 Directions are easy-to-follow, and it's a fun and easy way to help students become familiar with the library! The students and faculty in this video do such a great job acting, singing, and getting into the music! The boy singing the main song is one to watch--so much personality!!! This game works for students at all grade levels! I am planning to use it to train my eighth grade library aides about pre-sorting books for shelving and shelf order. The games start easy and get more difficult as the levels continue. Project it on a screen or smartboard for a class or use it in the computer lab to practice alphabetical and numerical shelf order. Click "Impatient?" in the corner to speed loading time. Some really funny kids and adults demonstrate why it's so important to keep your voice down in the library! Okay, this isn't the most fun part of orientation, but it is very necessary for our new sixth graders. I included the PowerPoint I use--please feel free to download and modify to suit your needs. Good little singers in this one! I love to see so much talent in young people! "I Like Big Books and I Cannot Lie"
This is another video from the adorable Dowell Middle School Library. Definitely some creativity flowing there!!! Just try to stay in your seat while this one plays! Quiet in the Library! At least the lady in this video is (somewhat) polite! Here's to a great school year! You have a book fair at the very beginning of school? Wow! I can't even imagine how tired you must be. HI, I just came across this post in a random search and enjoyed watching all the hilarious videos. Those kids from Dowell Middle School are very talented. I'm a librarian, too, and my debut middle grade novel came out in May, so your blog is right up my alley. Thanks so much for sharing. I'll be back!